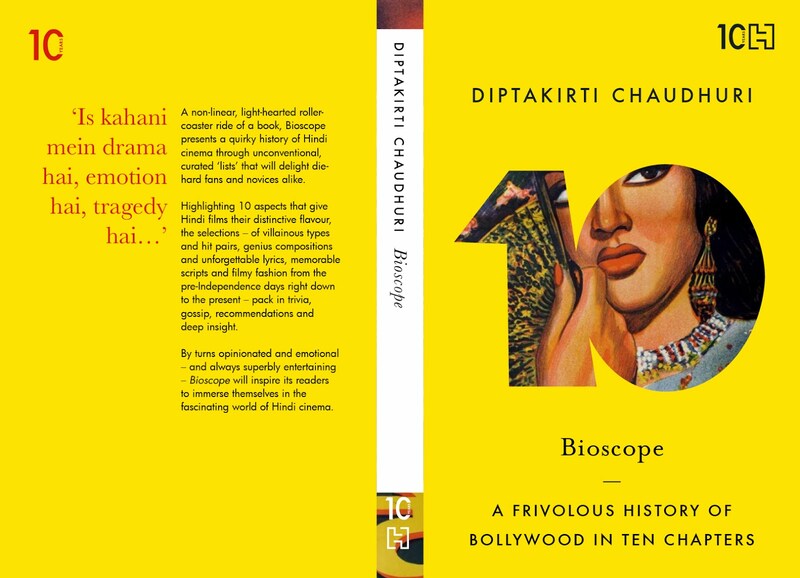 Some time back, I read a piece about a gentleman who is the executor of Saradindu Bandopadhyay’s (creator of Byomkesh Bakshi) estate and is the single-point of contact for anyone wanting to buy rights – cinema, TV, translation – for the author’s works. He explained in great detail how Byomkesh is probably the most popular series in Bengali, with scores of filmmakers wanting to procure rights. He, in turn, had to balance monetary considerations with long term prospects in order to decide whom to give rights to. This was around the time Detective Byomkesh Bakshy had released and just prior to that, Yash Raj Films had bought the Hindi rights for all the Byomkesh stories. After Satyajit Ray first brought Byomkesh to screen, there was a fair bit of diffidence in attempting another one – probably because the director and the star who played the Satyanweshi (Uttam Kumar) were both legendary. This jinx was broken when Rajit Kapoor played Byomkesh in the now-legendary TV series directed by Basu Chatterjee. Anyway, the point of this whole random Byomkeshing is – in my humble opinion – the rather pointlessness of these Byomkesh remakes. Having come out of books that have been read hundreds of times by fans, they don’t stand a chance in matching up to our imagination. I just watched Har Har Byomkesh (based on the story Bahni Patanga) and it was a film without complaints and without any memorability whatsoever. One of the key characters is a woman for whom ‘dazzling beauty’ is an understatement. The actress cast is just another beauty, who doesn’t seem like the type who would drive people around her crazy with her looks. Even Satyabati and Ajit are competent actors, meet their brief and yet, they are nothing what I (and millions others) had imagined. While the film recreates the period of the story well, it nevertheless gives a feeling of déjà vu that then gives way to boredom. We have seen this character so many times and similar settings… where is the punch? Where is the suspense (since we know the ending anyway)? If the idea is too hook youngsters who haven’t read Byomkesh, they are unlikely to get attracted by a slow-moving period drama with somewhat amateurish action and barely-passes-master art direction. 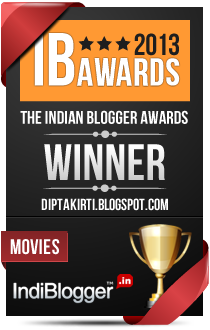 This is why I am more impressed by a film like Detective Byomkesh Bakshy… a film that throws the languid pace and leisurely mood-building of the original stories to the winds and presents the intellectual ‘seeker of truth’ as an action hero. It also eschews the regular stories, takes the major characters and creates a pastiche that keeps everyone guessing. Dibakar Banerjee’s Byomkesh had the purists fuming but at least, I thought it presented Byomkesh in a never-before avatar and a lavish scale that would bring many new fans to the fold. Anyway, to bring this to a closure – Har Har Byomkesh is a mild-mannered film, not unlike one of those side characters in Byomkesh stories who look inconsequential right at the beginning and continue to remain inconsequential throughout. SPOILER ALERT: This 'review' of the film hints at certain critical revelations that happen in the film. While the film is not a whodunit, it maybe a better idea to not read this before watching. In any case, I sincerely recommend you watch the film before doing anything - let alone reading this! What Shakun Batra does in Kapoor & Sons is to take these two films from Karan Johar's stable and make such an amazingly heady cocktail out of it that one is never sure if he is consciously slying against his producer or not. He takes the Karan Johar staples - good looking actors, large families, estranged family members, crazy patriarchs, great music, picture-perfect locales, big parties - and does the filmi equivalent of fusion food. It is the KJo ingredients in the hands of an inventive - even subversive - chef. First up, let's get Rishi Kapoor - hailing from the original Kapoor & Sons enterprise of Bollywood - and his amazing makeup out of the way. Even without the makeup, he exudes a crazy grandfatherliness from every pore and by making his character a tharki, the film just added a whole lot of fun. 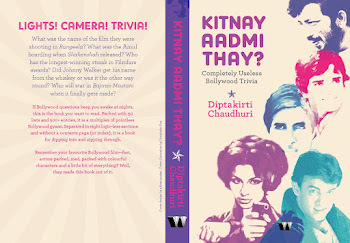 And by adding Ram Teri Ganga Maili to the jamboree, the self-referencing just made all trivia lovers dreams come true! Second, let's not get into the acting. Every single actor has acted brilliantly, especially since none of them are playing easy, sweet, happy roles. These are difficult, everyday people who get angry, get into scuffles, have jealousies and insecurities and do cruel things - often not knowing what they are doing. Siddharth Malhotra and Alia Bhatt leave their student days far behind and play a normal couple, who are not sure if they should be a couple. Ratna Pathak Shah and Rajat Kapoor bring alive the forever bickering couple, who have forgotten why they were in love once and after a lifetime of scars, they are now even wary of good times. All female viewers have gushed about Fawad Khan's hotness and - indeed - the perfectly featured actor is likely to go far in Bollywood, thanks to his good looks and easy charm. The posters, trailers and all promotional material have exploited this quite mercilessly. I found it quite amazing that he played a role that would make him the darling of many men as well. Even the bit parts - photographer Wasim, his bodybuilder brother Boobli, Choksey Uncle, including the plumber - are superbly performed. 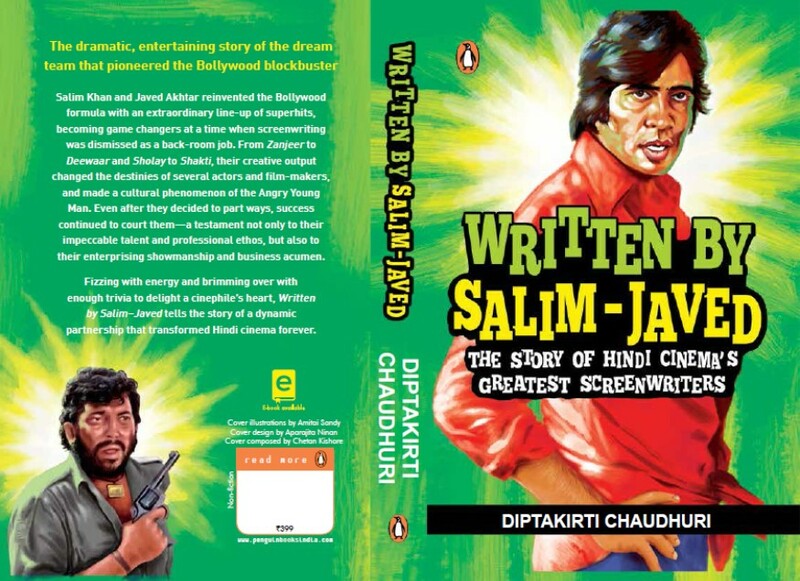 However, the hero of the film is the writing. It is certainly not an easy task to take so many actors (some stars, some merely actors), put them in situations that we see happening all around us and still make it interesting. Especially since, the final payoff - the patriarch's dream of a family photo - is not stuff 140-minute blockbusters are usually about. And yet, director Shakun Batra and Ayesha Devitre Dhillon manage to weave a mesmerising screenplay around this dysfunctional family, going about plugging leaks and planning surprise birthday parties. 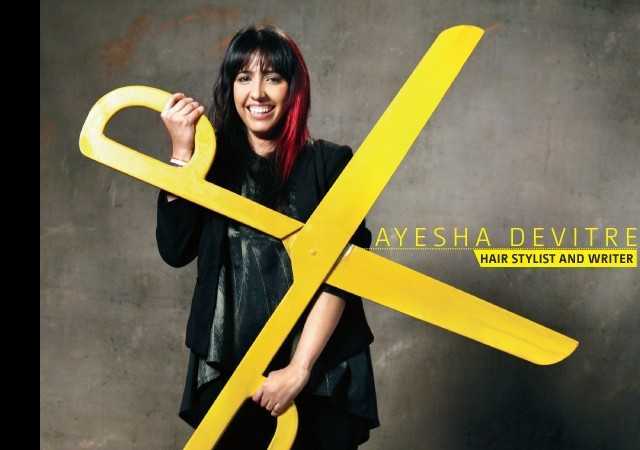 A word about Ayesha Devitre: She is a hairstylist with some massive blockbusters to her credit. She calls herself a 'hairstylist by profession, scriptwriter by passion' and has only written two films (both co-written with Shakun Batra). Her first film - Ekk Main Aur Ekk Tu - had the confidence of moving away from standard Hindi film tropes, even while seeming to be within a formula. More power and more films to her! One of the best decisions I have taken in this #100MoviePact is to seek out the best works of regional cinema. Friends have generously recommended old classics ("This is what made Rajini Rajini!") as well as contemporary hits ("The more I see Dulquer, I more I love him!") and all of them are now on my Amazon wishlist. This one was recommended by Sohini Mitter. Rock On! meets Dil Chahta Hai meets Jo Jeeta Wohi Sikandar meets Karnataka Tourism in this delightful film about three cousins who had resolved to live it up in Bangalore as kids and then landed up in the big city by a series of coincidences. The lives society ordains for those who follow rules - and those who don't - are intricately woven. A girl aspiring for a MBA degree gets married off to an eligible bachelor. A village boy in love with even the water of the pond gets a job with a software firm. A rebellious misfit finds a place where his skills can come to use. But the film doesn't pass any judgement. The girl actually wants to get married to the handsome man she meets. The boy enjoys the money the job offers and the fun that happens in a big city. Nobody seems to be missing what they say they are missing. The characters are refreshingly real as are the settings. Vivacious RJs. Modern apartments. Tattooed bikers. Burger joints. Friendly neighbourhood uncles. Software parks. Geeks. Freaks. Pricks. Chicks. Scowls. Jowls. All cohabit the world of the three characters and their extended relationships. One thing I really enjoyed in Bangalore Days is the way filmi cliches are taken and given a very real and contemporary twist. That way, you may know what is about to happen but can never guess how. This exploration of the popular idiom is particularly great where the software engineer cousin describes his idea of a perfect girl found through arranged marriage. The traditional name, the traditional attire, the traditional behaviour of serving tea and snacks... all come true, but in a way you're not likely to expect. Or do they come true? The climactic bike race. The reconciliation of the couple. The dream girl. The missing father. The disapproving parent. The elopement. The standard tropes suddenly become refreshing and new. 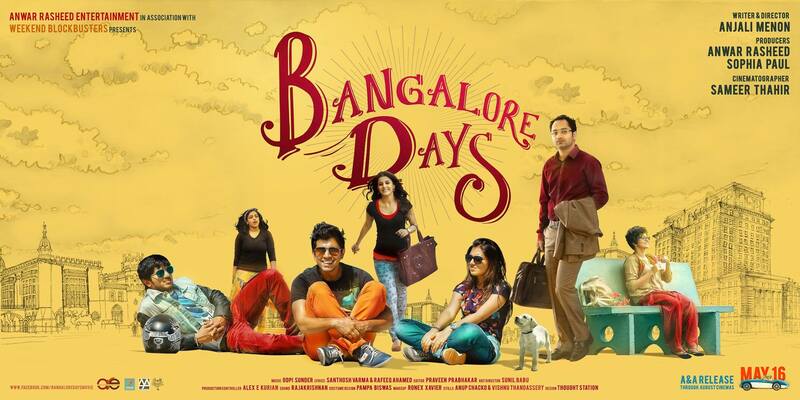 Bangalore Days is quite long - nearly three hours - and there is a short period in the last third when it drags but that it hardly a blip in an otherwise fine film. Writer-director Anjali Menon is clearly a talent to watch out for and so are the actors. Nithya Menon - known to many of us as the Titan girl - has a short role as well. Wish she had a longer one. No Abbas Mustan. No Bipasha, Saif, Anil Kapoor or Ameesha. 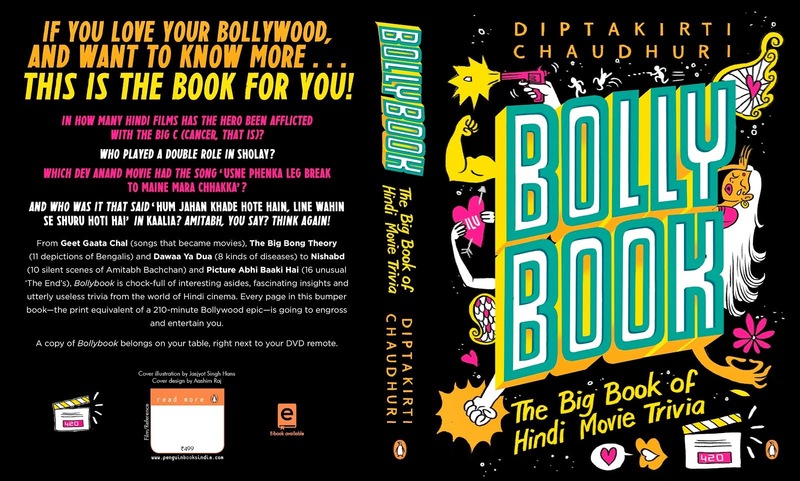 Bollywood junkies, please excuse. James Cleveland Owens had to sit in designated bus seats, live in segregated parts of town and endure taunts of his fellow countrymen. His success on the track meant nothing to many of them. He was a pariah. Till he became the symbol of anti-racism that his deeply racist country projected on to the world stage. Race does a great job of presenting the dilemma of a black man in 1930s America. Should he protest against his country's racism and boycott the biggest stage his sport can get? Or should he participate and make a bigger statement? No prizes for guessing what he chose but his dilemma came out exceedingly well. That and his obsessive desire to run! I had read somewhere (was it an article by Sandipan Deb?) that many of our cricketing heroes survived almost by accident. Harbhajan Singh could have got slaughtered in 1984 and Irfan Pathan could have caught the wrong end of a sword in 2002. But they didn't and came together to form an invincible* team that is secular, patriotic and our biggest mood-lifter. While I was watching Race, I felt this story was also somewhat similar and America should be grateful for the accident that - despite everything - Jesse Owens decided to run and not run away. Suppose - in a middle class colony in any of our major cities - a single middle-aged man is found to be sleeping with his domestic help. Every other detail about the situation just ceases to matter in a situation like this. Maybe it was consensual? Maybe they were in love? How did people find out about it? Did they invade his privacy? None of this matters. Personal choices and preferences take a backseat to the societal norms formed over years of sediment emerging out of ancient scriptures of all religions. Aligarh takes this basic issue of privacy and sets it in the landscape of gay rights in India (or the lack it). By tracking the story of a Aligarh University professor who was persecuted for sleeping with a rickshaw-puller, he uses gay rights to raise questions about privacy. When a man is killed in India (a place less than 100 kms from Aligarh), we never ask who killed him. Instead, we ask what meat he had in his fridge. Likewise, we don't ask how a camera-toting thug entered a law-abiding professor's private residence without permission. We ask who was in bed with the professor. The story of Aligarh is simple but the screenplay asks several questions, leaving us to work them out. Beyond the social commentary, it is also like a thriller where we are never sure of which testimony is dependable and who colluded with whom. By leaving certain strands of the story hanging and moving on to other strands, it creates a deep sense of unease that is possibly reflective of the way we choose to outrage about some victim today and then conveniently move on to another one tomorrow - without bringing any closure to any of those. Manoj Bajpayee does a stellar job of playing the disgraced professor - helpless and strong in turns, heartbreakingly real for the entire film. His Marathi-accented Hindi, his halting poetry recitation, his guilty drinking, his anger, his laughter... are just perfect. Equally strong is the second lead - Rajkummar Rao - who brings alive the young, idealistic, Malayali journalist out to give the professor a fair hearing. In fact, the entire cast does a great job of looking and playing the parts to perfection. When I last heard, an alumnus of Aligarh University (or was it a resident of the city of Aligarh?) had petitioned to have the name of the film changed because being associated with a 'gay film' would have a negative impact on the city and its residents. Bombay did not run in Bombay without cuts mandated by its most powerful resident. Aligarh, thankfully, did not meet the same fate.